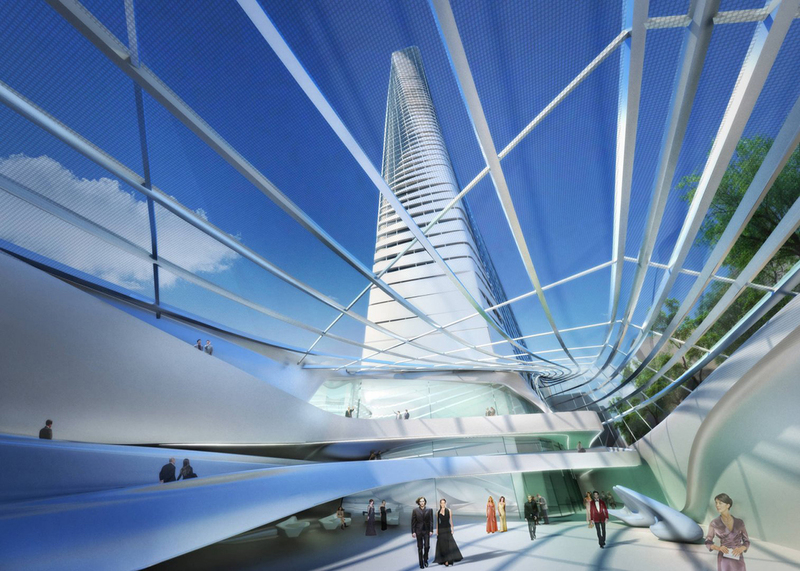 Zaha Hadid Architects’ design for Africa‘s tallest tower is reportedly breaking ground after nearly a decade of delays by the Egyptian government, according to Forbes. 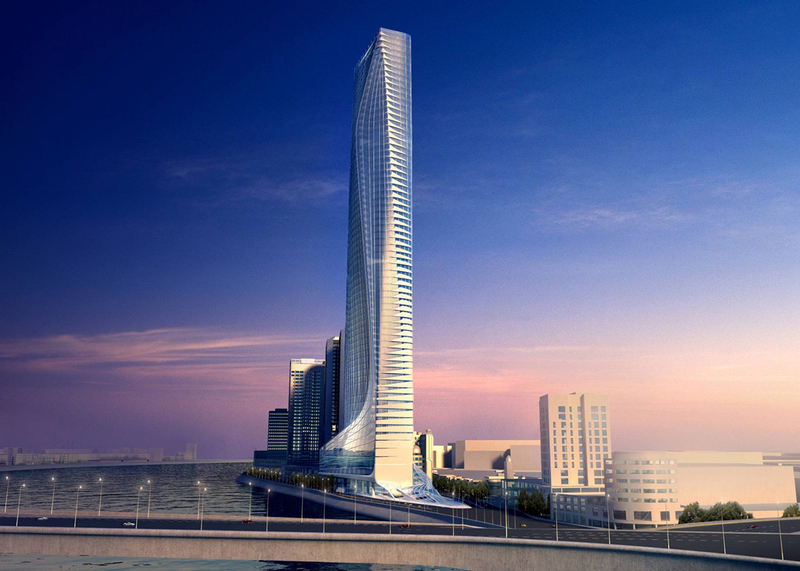 The 70-story Nile Tower will rise along the Nile River in central Cairo as part of an upscale new downtown district. The project is expected to spur growth and investment in a previously neglected area that currently houses middle-class and low-income residents. The 1.3 million-square-foot Nile Tower was first envisioned by the late Hadid in 2007 and so far, design details haven’t changed. The rectangular structure will house residential and hotel components inside a thin, twisting volume. Apartments will be built out on the top 36 floors with views of the nearby pyramids, while the middle 18 floors will include a hotel with 230 rooms. 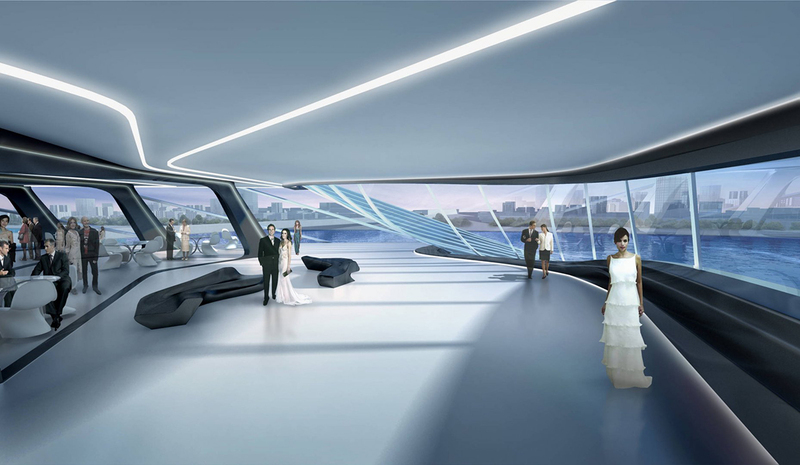 Other floors will feature a casino, nightclub, spa, health club, and shops. The luxury property is set to be marketed toward higher-income tenants, who in recent years have moved to the outskirts of Cairo into newer developments. Nile Tower will be a focal point of the aforementioned upcoming neighborhood that its developers hope will spark an influx of wealthy residents back into downtown Cairo. 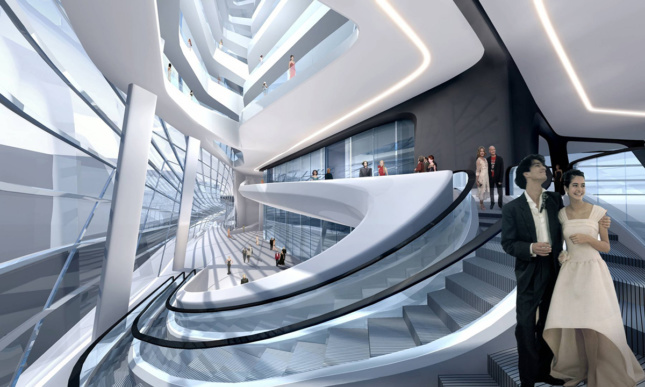 Zaha Hadid Architects isn’t the only starchitect firm set to build in the planned district. Foster + Partners designed a mixed-use project for the site as well, which will go atop a recently-demolished lower-income housing complex in the neighboring Maspero Triangle. Critics of both projects say the displacement of Cairo’s poorest and most vulnerable people is already a huge issue. Apart from its controversial setting, one major reason for the Nile Tower’s postponement was the national shake-up Egypt experienced in 2011 when its long-time president Hosni Mubarak was removed from office and tried for corruption and abuse. Mubarak was an avid supporter of the Nile Tower and the plans for creating an upscale new residential and business district. The country couldn’t get it back on track amidst all the political and economic unrest. Under Egypt’s current president, Abdel Fattah al-Sisi, the project is once again a top priority for the country as well as for Cairo’s development. Ashraf El Tanani, president of the site’s developer Living In Interiors, told Forbes that President Sisi’s government is actively involved in getting the height clearance for the project as well as making it a financially viable project. As of now, the tower will cost $600 million, though it’s likely to rise by $150 million due to the weak Egyptian pound which is making building materials much more expensive than planned. Despite the hefty price tag, the project is expected to make a significant return for the domestic economy with increased construction jobs, as well as its potential for enhancing the housing and tourism sectors once complete. The groundbreaking has been set for the near future, but no date has been officially named.